Wales is a proud and passionate nation, with a varied and dramatic landscape. It is only 274 km (170 miles) from north to south and 97 km (60 miles) east to west, but it has 1,200 km (750 miles) of coastline, beautiful countryside, including the magnificence of Snowdon and the Breacon Beacons, spectacular food and drink, and a long and rich history. There are a wide range of places to stay and things to do in Wales, including a wide range of museums and places of historical interest to suit all ages, including 641 castles. Within Snowdonia Region is the Snowdonia National Park and the biggest mountain in Wales and England, Snowdon at 3,560ft. The National Park and Mountains are ideal for walkers exploring the region. A great bus shuttle service can take you around the base of Snowdon, connecting all main footpaths and the surrounding villages. Along the Snowdonia and North Coast there are plenty of sandy beaches, spectacular cliffs and glorious estuaries. Along the Llyn Peninsula, a protected ‘Area of Outstanding Natural Beauty’ is a coastline of spectacular coves, headlands, beaches and wildlife. Within Pembrokeshire is the Pembrokeshire Coast National Park, a national park along the coast in West Wales. The National park is the only coastal national park in the Britain and is famous for its beaches, cliffs, islands and wildlife. 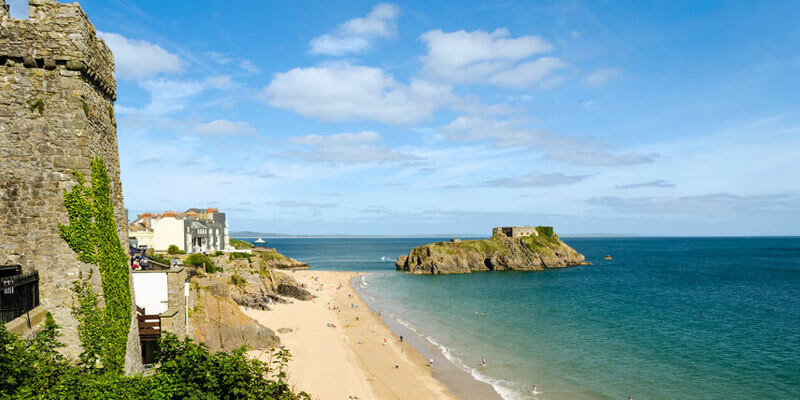 In the National Park you will find many walks including the Pembrokeshire Coast Path which takes you by steep limestone cliffs, sandstone bays, headlands and valleys. There is also Coastal Bus Services for walkers to experience parts of the trail. South Wales is home to Cardiff, the capital of Wales, Wye Valley and Vale of Usk and the Glamorgan Heritage Coast. Within the city of Cardiff there are plenty of attractions, entertainment and shopping all within walking distance. Walking around the city your will see beautiful modern architecture alongside historic buildings. Cardiff Bay is the newly developed waterfront offering a mix of entertainment, attractions and events. The Wye Valley and Vale of Usk is popular with walkers, mountain bikers and canoeists due to dramatic landscapes and trails. There are also plenty of attractions with the most castles per square mile in Britain. Glamorgan Heritage Coast is home to the beach holiday resorts of Barry Island and Porthcawl offering a range of water sports such as surfing, kite boarding or sailing. Along this stretch of coast there is some beautiful coastal countryside and green hills. Other destinations you may find interesting!